In a previous TechTips, I explored the importance of creating processes and procedures for documenting client text messages sent and received on an individual’s phone. There are several solutions for handling client and prospect text messaging. The most common is using an individual smartphone. In this issue, I will discuss two apps I used to send information to myself for text documentation. Both can be used to streamline and automate sending screenshots of text message conversations back to the office for attachment to the client/prospect record. Even with all the potential options for sharing information, I continue to find myself emailing important links, images, and documents to myself on a regular basis. I came across a great iOS app a while ago called “Mail to Self.” This app has a simple function. 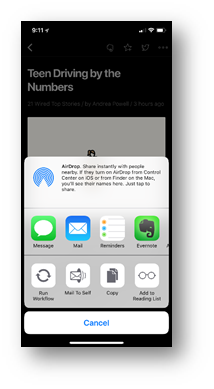 It adds a “Mail to Self” extension in the share menu of iOS so that you can email yourself directly with a single quick tap. After you install the app, you enter the email address you want to use and are then sent a verification code to confirm. Whenever you have a link or other content you want to send to yourself, you merely tap the Mail to Self icon in the share extension, and an email with the body text will automatically be sent to your email address. I find I use this a lot when reading articles on websites on my phone. If the information is something I want to capture for later use, I will email myself a link to the article and then capture the content into Evernote. It is a quick and easy way to follow up on information. For Android users, another app I came across was “Mail Myself” in the Google play store. I have not used it so don’t have a specific recommendation. If anybody has used this app or found another Android app that works, please leave a comment below. 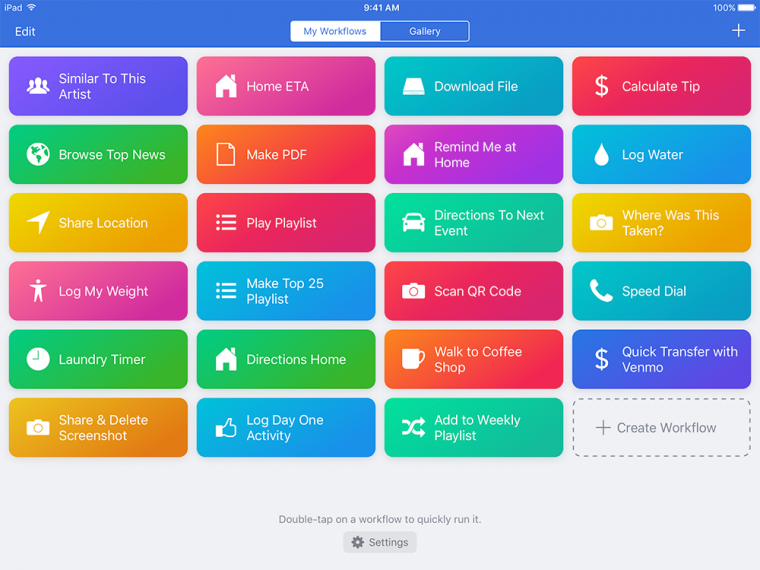 Another app you should explore is Workflow (only available on iOS platforms). If you use an Android phone and have found a similar app that works please leave a comment below to help other subscribers. Workflow allows you to create a series of actions that accomplish a particular task. Like any workflow, it can simplify everyday tasks by combining several steps, even across apps, into a single tap. For sending screenshots of text conversations, Workflow will allow you to “get the latest screenshot,” include the picture into an email with a predefined email address and send it using your phone email app. Actions are the building blocks of workflows. Each workflow is made up of a series of actions, and each action is a single step that performs a particular function. Anyone can string together a series of actions into a single workflow. Creating automated workflows can be very powerful and will help reduce the number of taps necessary to send information which increases the likelihood it will get done. Once a Workflow is created, it can be shared with other Workflow users by adding it to the Gallery. I do realize these apps will only save a few taps on your phone. And, I also realize the easier you can make the process the more likely text conversations will get added to the client file. What other tools do you use to streamline the process of sending documentation, links, and notes from a phone to the office? Leave any suggestions in the comments below. Steve Anderson provides information to insurance agents about how they can use technology to increase revenue and/or reduce expenses. He speaks professionally to hundreds of agents each year on the future of technology, the social web, and how insurance agencies can establish their Internet presence. I cannot find the app called Mail To Self in the iTunes app store…. I need to email myself a long text thread. What do you think my best option is? I’m always sending myself emails as reminder to do something or check something or to read later. Thanks for the tip on Mail Myself. Why is it that we remember all these things when it is most inconvenient to do them or send a reminder. Looking forward to utilizing this app.